We are Proud Creative. We create work that makes our clients and everyone at the studio proud. It’s the reason for our name. 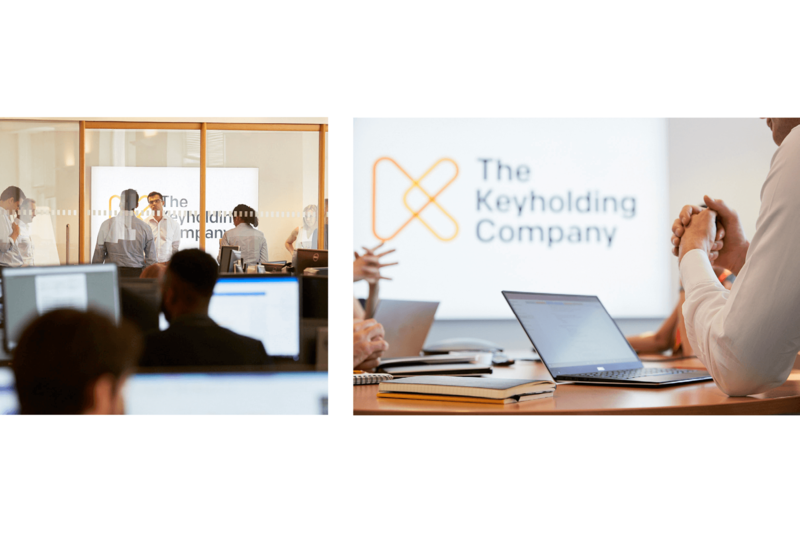 Below is a case study of a rebrand project for a keyholding and alarm response specialist, The Keyholding Company. 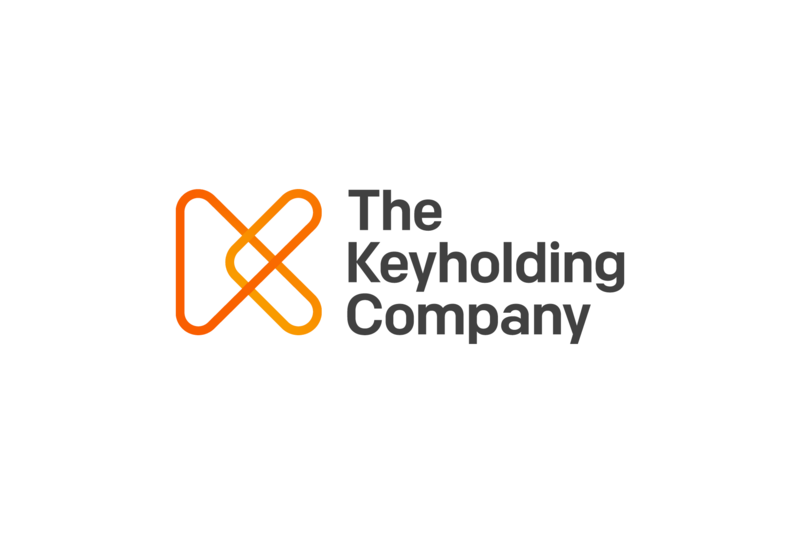 The Keyholding Company is the UK’s number one key holding and alarm response specialist. 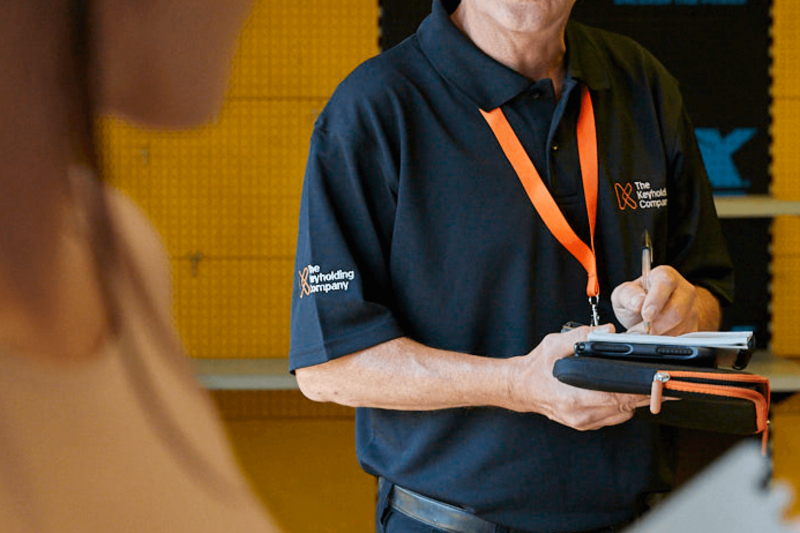 Their innovative approach to connecting a network of regional providers means they consistently deliver faster response times than the competition. 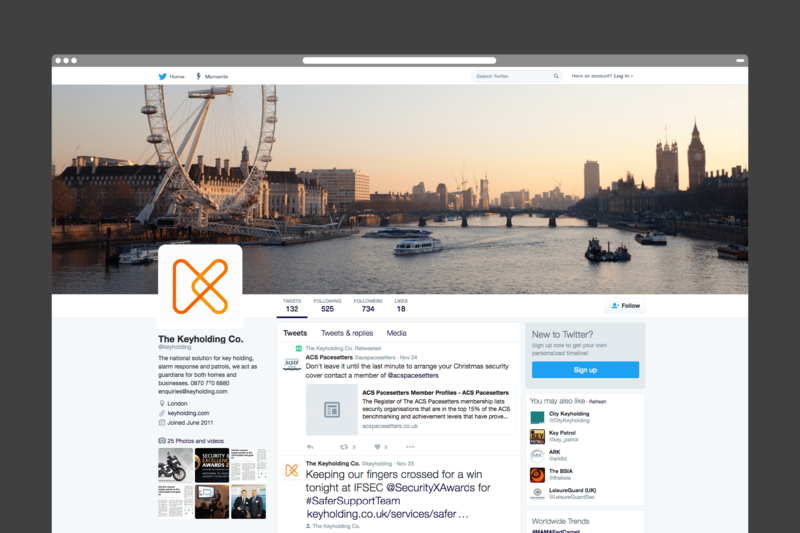 But their visual identity, messaging and tone-of-voice weren't a good reflection of where they sat in the market. 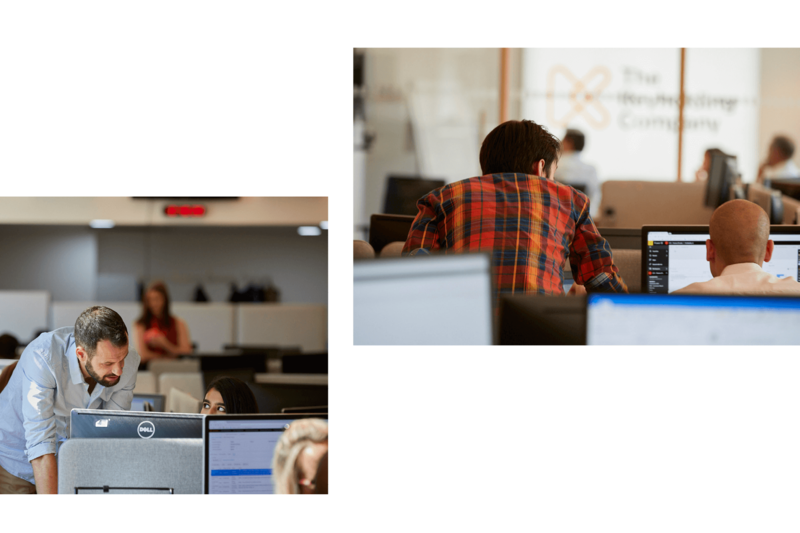 The new strategy and identity is grounded in communicating the balance of having the right people supported by the best technology. 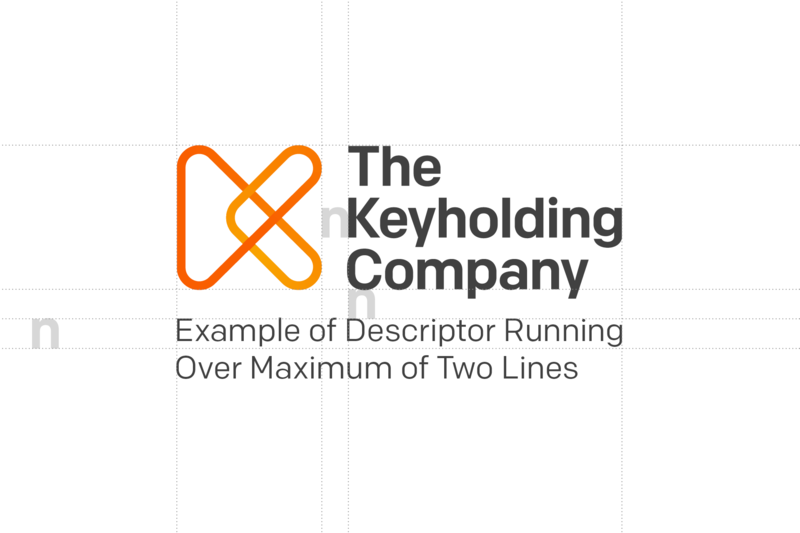 At the heart of The Keyholding Company identity is a new logo designed as two interlocking parts, with a safe and secure connection. 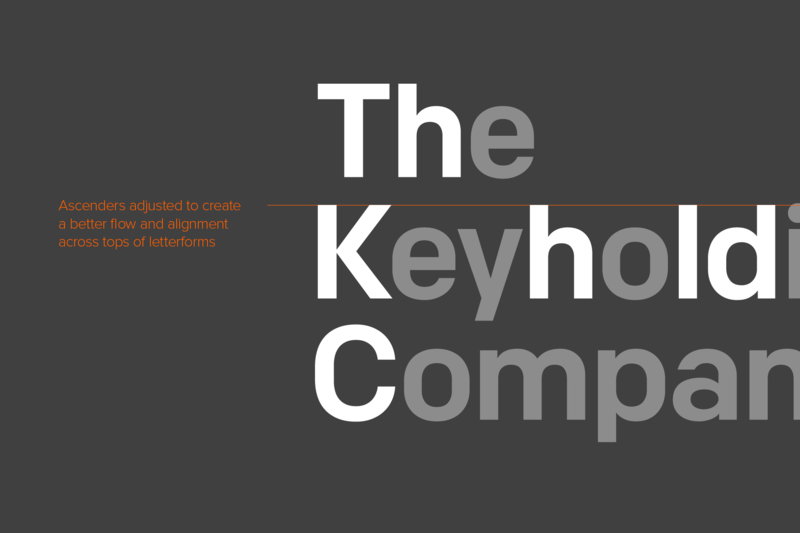 The form has an energy that speaks to the dynamism of a networked business. 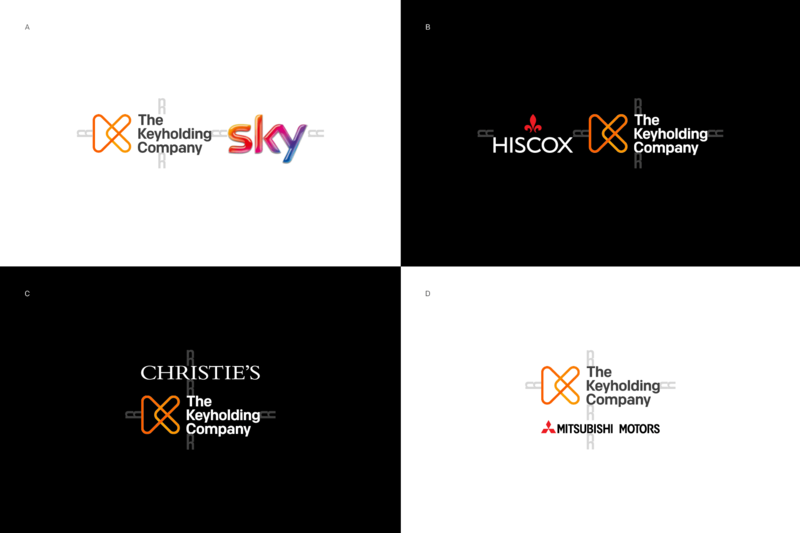 And most straightforwardly, it resembles the K of the company name. 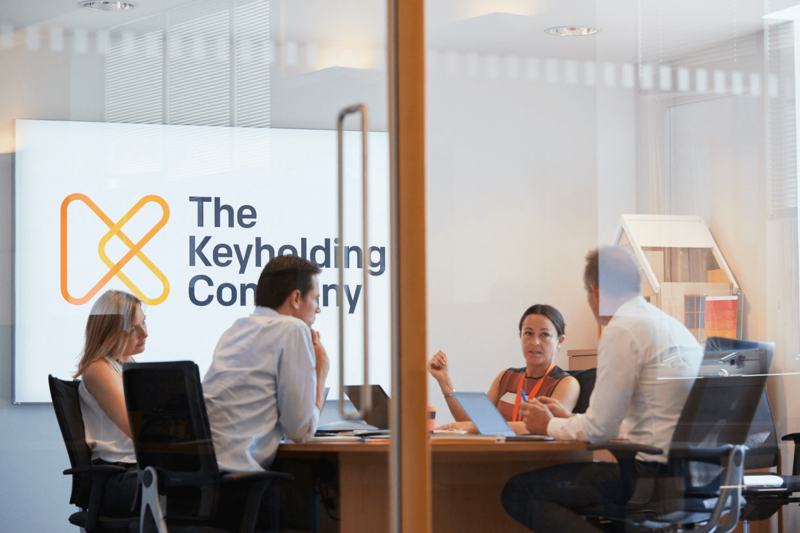 Much of the best work The Keyholding Company does is in collaboration with others — whether that's client relationships, or by working in partnership with less specialised security companies. 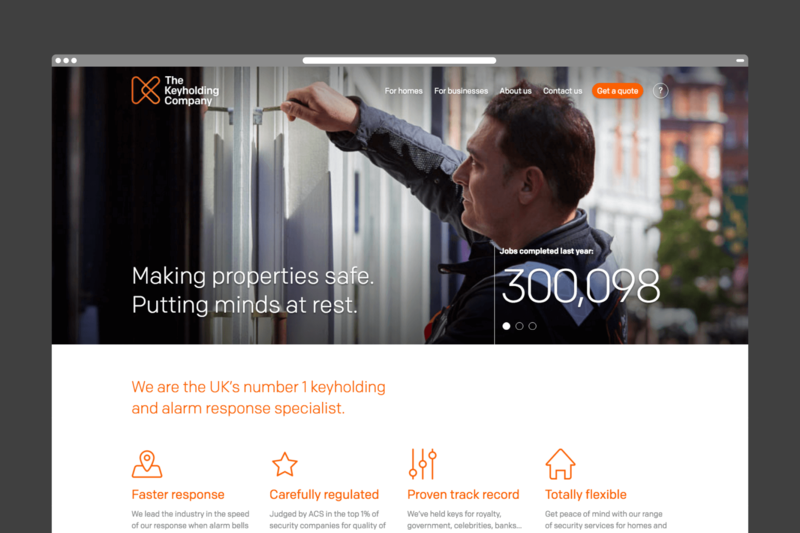 The new logo and associated lock-ups gives the company the confidence to sit comfortably alongside the largest brands in the UK and to celebrate the relationships they've been successfully building for twenty years. 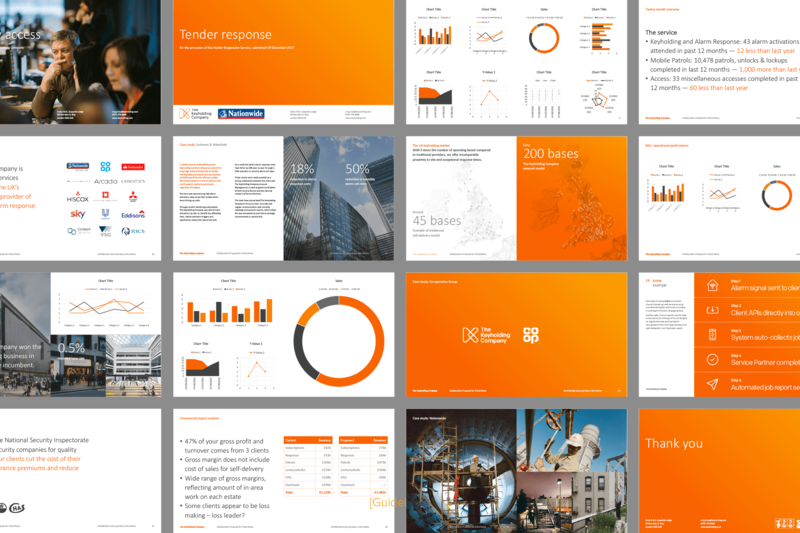 Orange is retained from the previous identity, keeping hold of some good equity and providing great stand out in a sector dominated by reds and blues. Used confidently it communicates energy and urgency; can signal comfort and warmth; and it's great for visual impact. Photography has been key to striking the right visual note. 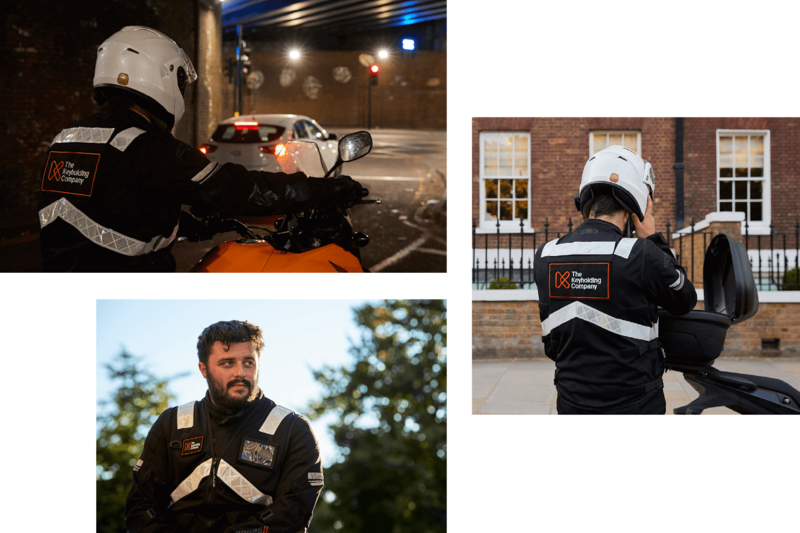 Capturing great people at the heart of a technology enabled business — working together to make their clients feel safe and secure, night and day. 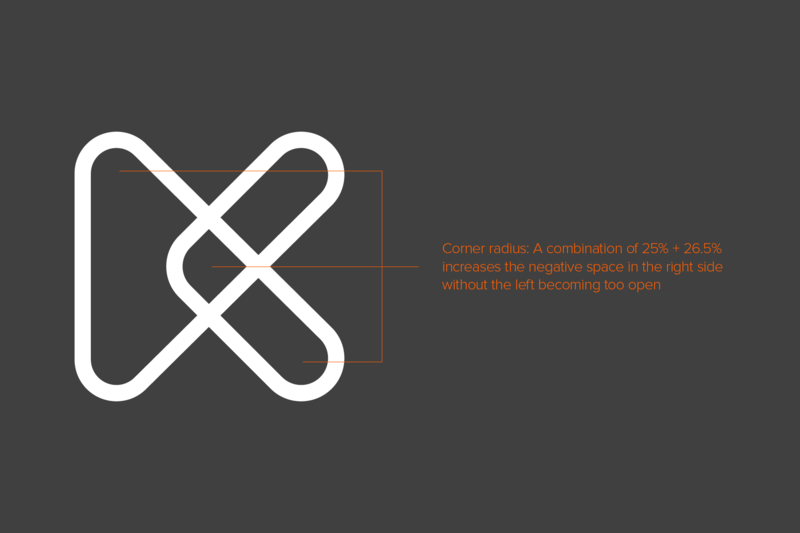 We developed a full icon set — creating animations for key interactions and communications. 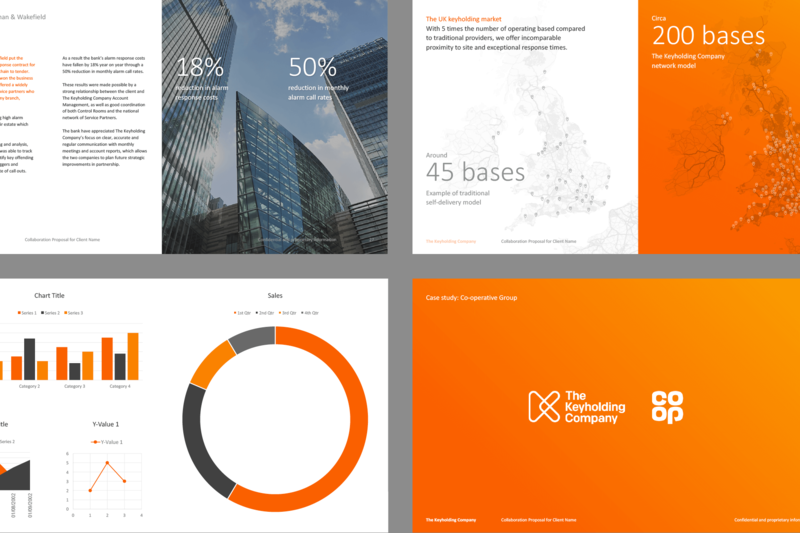 We created templates for sales decks, credentials presentations and reporting documents — streamlining and simplifying processes to save senior management time and ensuring they always deliver stunning presentation materials. Designed and built by regular Proud collaborators, Studio ON. 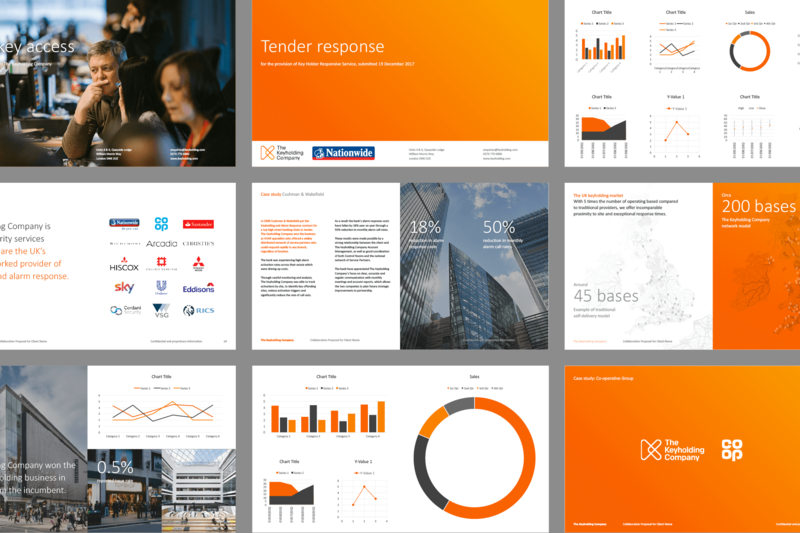 We love clients that are looking for design solutions grounded in solid strategic thinking. 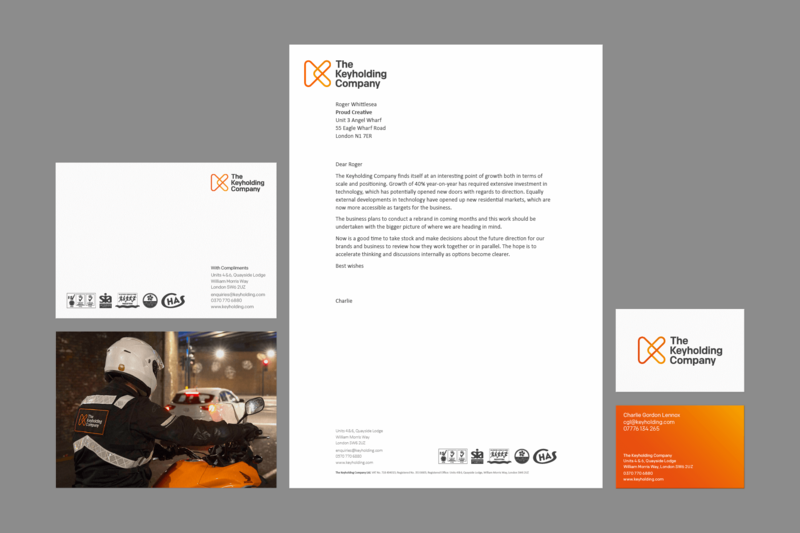 Rebrand, refresh, or more tactical campaign work, it doesn't matter: we apply the same rigourous approach whatever the challenge. 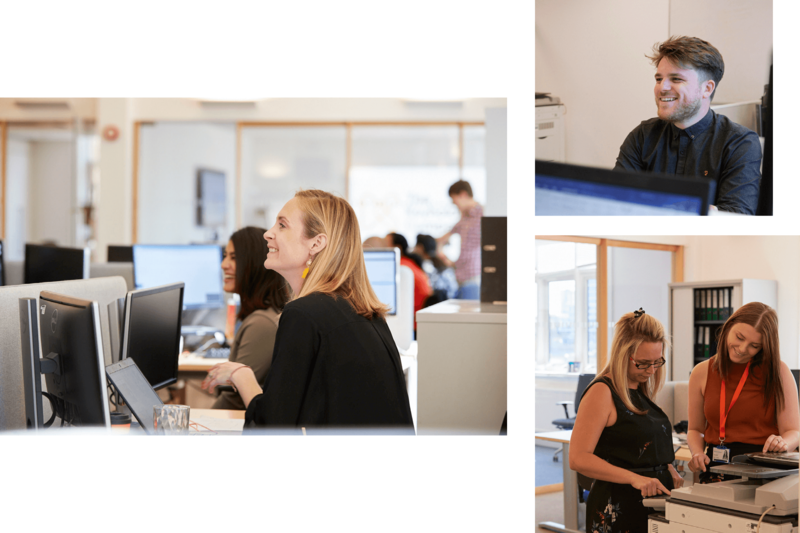 The goal is always the same: work that makes our clients and everyone at the studio proud.